Walking into a bridal suite that's filled with presents on the morning of your wedding day is one of the many perks every bride should enjoy. Whether it's something you can wear to the 'I Do's', a treat to take away on your honeymoon or a product you can enjoy as you start married life, a special gift is the perfect way to start your perfect day. With this in mind, we’ve put together this handy edit of must-haves we know you’ll adore. From surprising fragrances, beauty and one-off exclusives, there’s something every bride will love. Dip a toe into Huda Kattan’s scent-sational new venture Kayali with a coffret of four miniature bottles. The set includes KAYALI Collection 01, a line of captivating fragrances, all handcrafted in France with the most luxe ingredients. Designed to be layered to create a bespokely-yours scent, Kayali whispers of limitless possibilities and infinite layers. 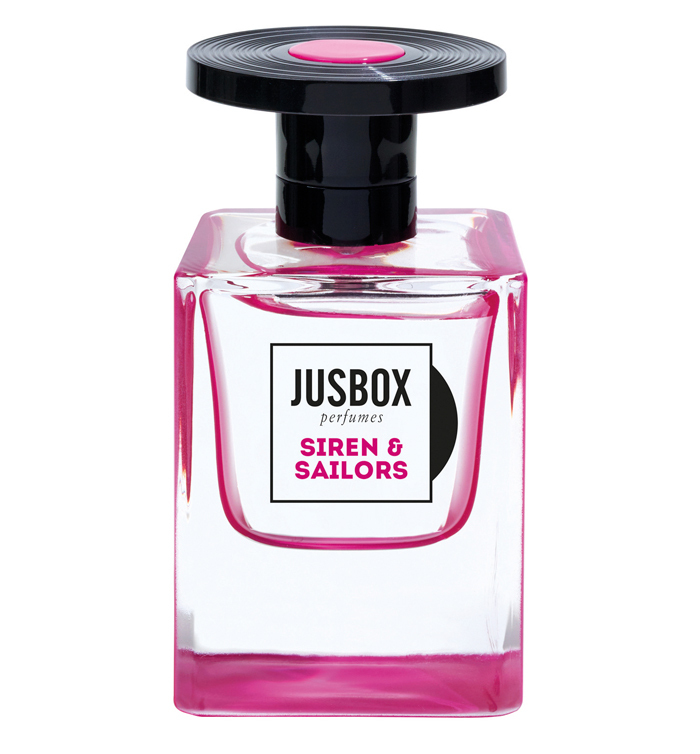 Creating fragrance inspired by legends of music, Jusbox’s latest scent is a tribute to the irreplaceable Amy Winehouse. Siren and Sailors EDP channels her bittersweet songs and passionate spirit through a captivating blend of warm, sensual notes. Forever pushing the envelope with amazing edible innovations, Smith & Sinclair’s deliciously aromatic edible fragrances can be sprayed directly on to the skin, cocktails and desserts, and then be licked right off. It’s made with premium gin blended with natural ingredients, and is surprisingly light, non-sticky and 100% vegan too! Save this for your first night or honeymoon. 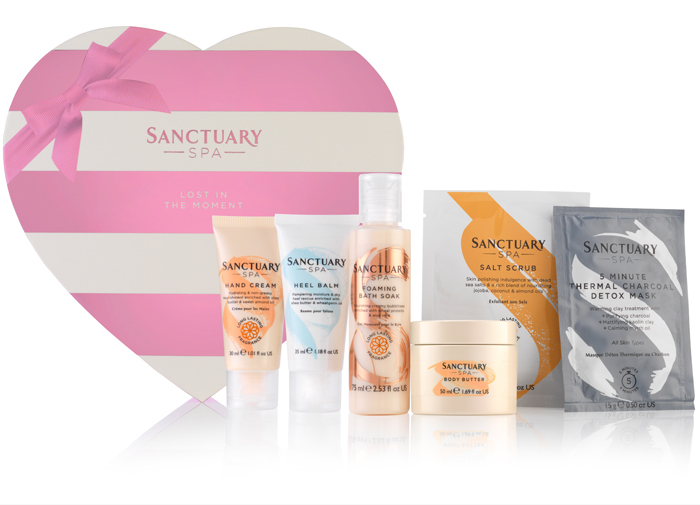 Begin your day in relaxing style with Sanctuary Spa's soothing Lost in the Moment hamper, which includes everything you need for a spa-like experience. This gift set contains a Foaming Bath Soak 75ml, Salt Scrub 60g, Hand Cream 30ml, Heel Balm 35ml, 5 Minute Thermal Detox Mask 15g, Body Butter 50ml. In a world of showers, it’s a real treat to sink into a bath, especially one spiked with Diptyque's Precious Oils for Body and Bath. Replenish yourself after a long day on your feeet with this tonic, which contains hydrating oils of sweet almond, Argan and macadamia nut. Your skin will never have felt so silky and nourished. 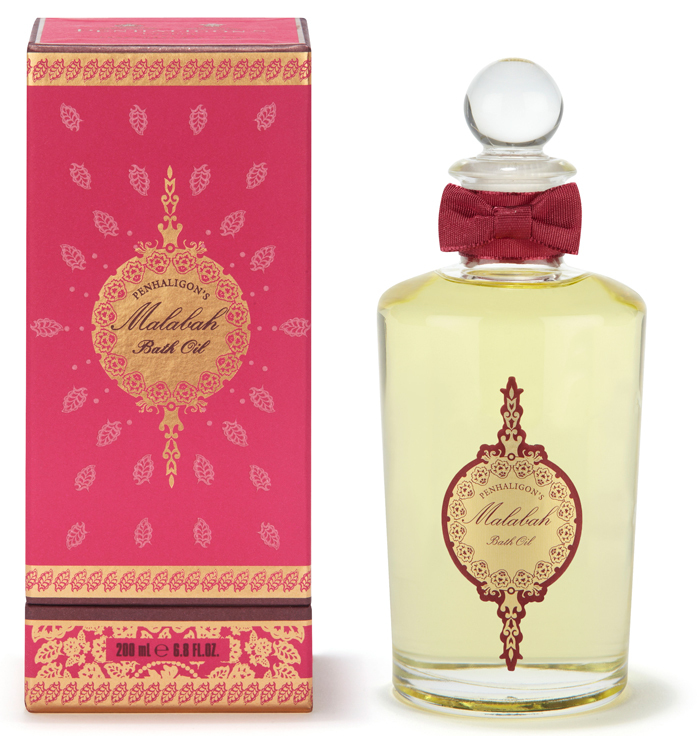 Flood your bathroom with this indulgent, heady scent from Penhaligon’s. You only need a few drops of the luxurious bath oil to transform bathtime into an experience you’ll want to savour for hours - perfect for brides staying overnight at their venue the night before the Big Day. The fresh top notes of lemon, Earl Grey tea and coriander deepen into a spicy mix of ginger, cardamom and nutmeg before finishing with sweet amber, musk and sandalwood. It’s time to shine with YSL new limited edition Rouge Volupte Shine lipsticks. Emblazoned with cute hearts and arrows, there are four covetable shades to collect. Glide the smooth formula onto your lips before you head down to smile for the wedding cameras. 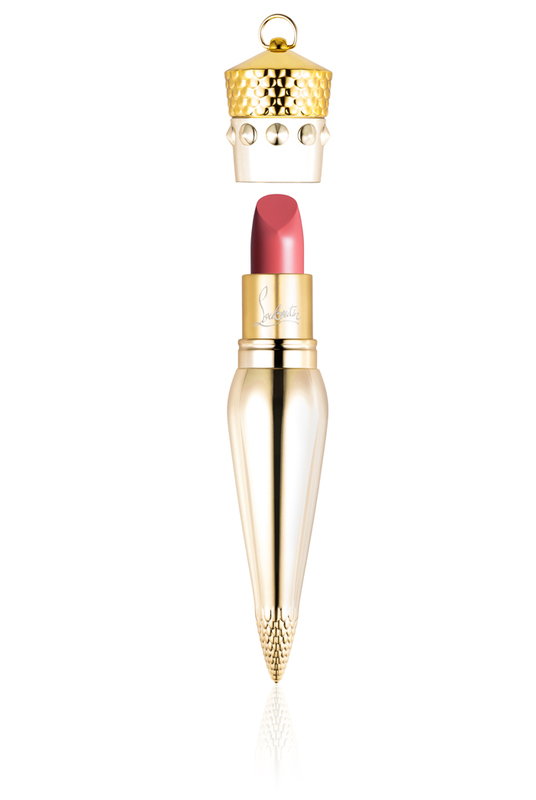 Destined to be loved by beauty addicts everywhere, Christian Louboutin Beauty's 'Silky Satin' lipsticks showcase pure luxury. Each shade comes encased in an iconic golden bullet that will steal the spotlight on any dressing table. Choose from 17 ultra-hydrating colours. 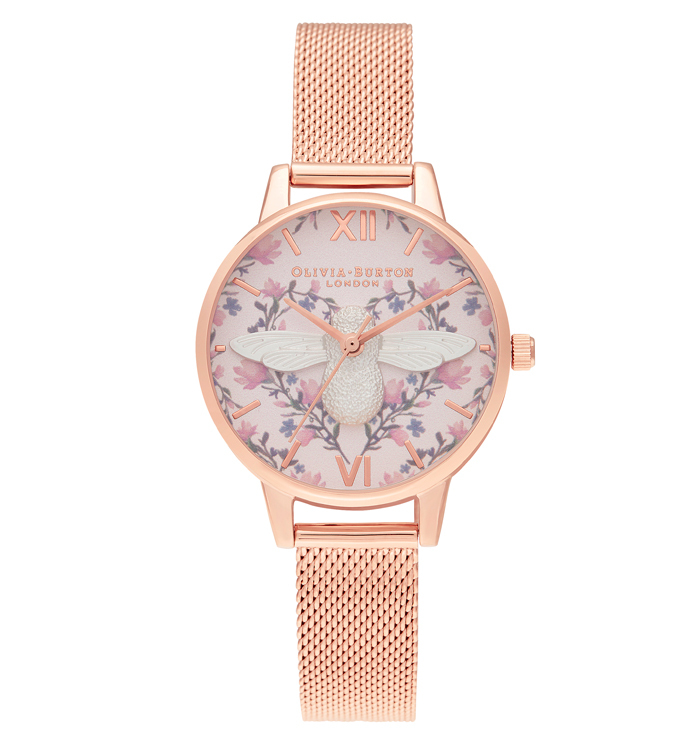 What better way to keep an eye on your wedding schedule than with this beautiful rose gold watch from Olivia Burton? Featuring a pretty blossom print on the face and a soft blush dial, the bee motif in the centre is crafted in silver to really pick out the detail. We’re in love. 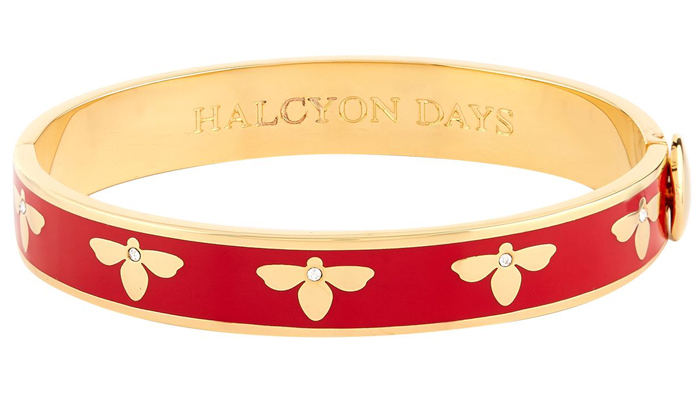 Reaffirm your status as Queen Bee with this dainty bracelet from Halcyon Days. Crafted by highly skilled artisans from brass and luxuriously plated in 18 karat-gold, the hinged design is adorned with gemstone-embellished honeybees that glisten with each swing of the arm. Perfect for complementing your evening bridal looks or an ideal gift for a loved one. We’ve fallen headfirst for this piece of arm candy, created for Valentine’s Day but also perfectly suited for your Big Day look. 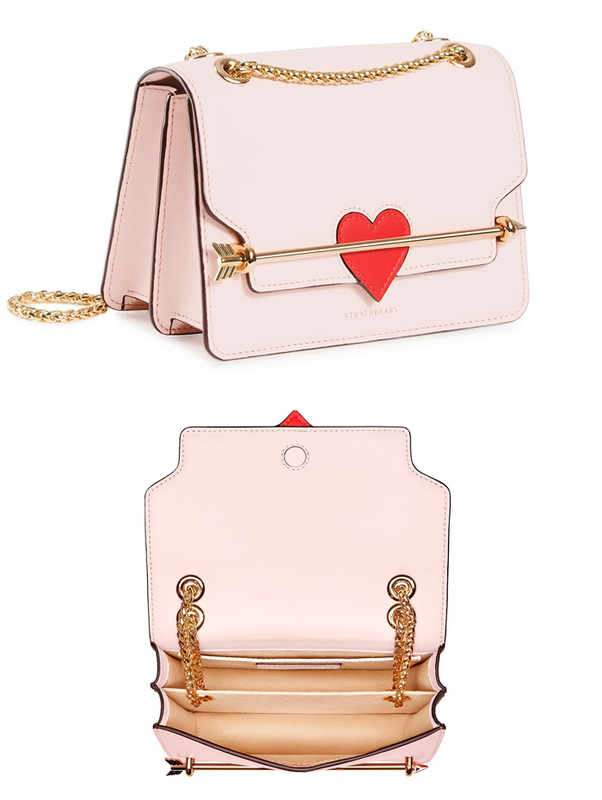 The soft pink colour palette is complimented by a striking heart appliqué pierced with a playful Cupid’s arrow. If we didn’t believe in love at first sight, we certainly do now. What’s better than one gift? A basketful full of them! 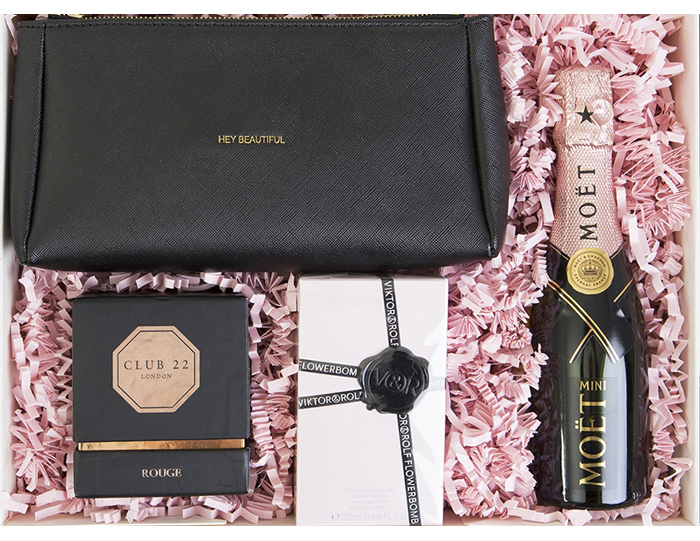 Build My Gift’s hamper is the perfect way to spoil brides-to-be with a Club 22 London Rouge Home Candle, Katie Loxton Makeup Bag, Viktor & Rolf Flowerbomb Eau de Parfum and a mini bottle of Moet & Chandon Imperial Rose Champagne. Grooms, get ready to score some serious brownie points.